Summer and Winter Biking Fun! 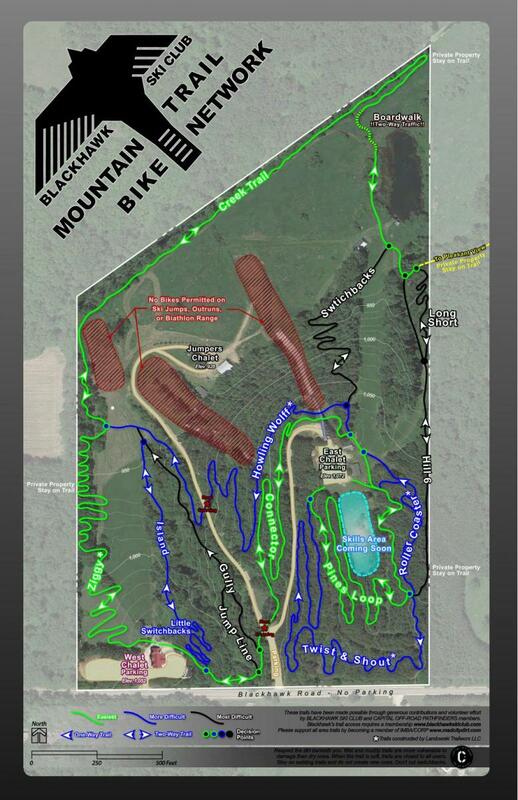 Blackhawk members have access to a network of mountain bike trails for riders of all abilities. Over the past 5 years, we have transformed our trails from the “old school” rocky, rutted, fall-line style to new “flow trails” that are wide, fun, fast, and sustainable! We’re open both summer and winter, with occasional closings due to rain or icy conditions. Any club member can use the trails. 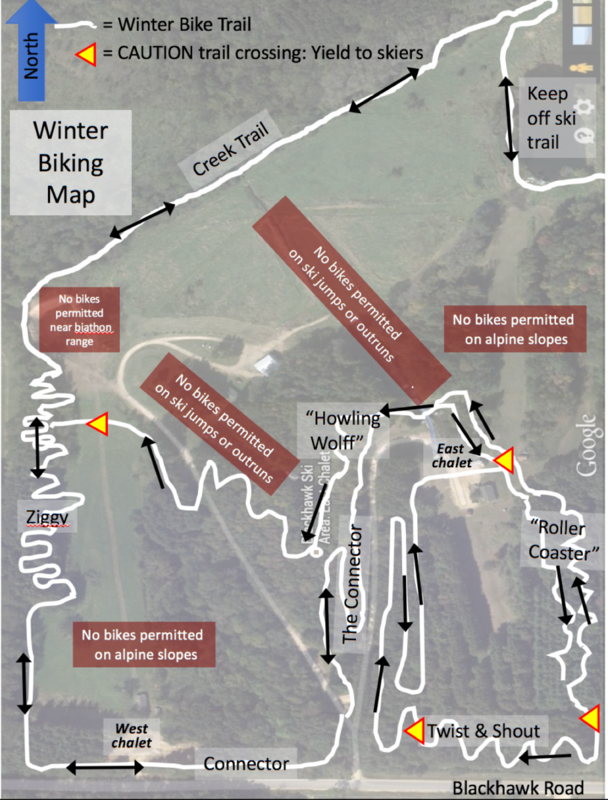 Summer Access memberships ($25/single, $50/family) are available for those who wish to use the club only during the mountain bike season, and Winter Fat Bike memberships ($25/single, $50/family) are available for those who wish to use the club during the winter "Fat Bike" season.